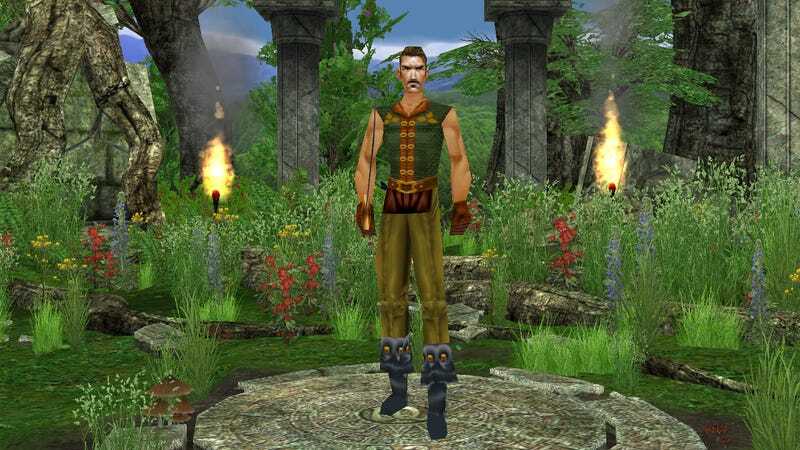 Launched last month as part of EverQuest’s anniversary celebration, the Mangler server gives players a chance to re-live the game from the beginning. It’s the 1999 experience with a few modern improvements, developer Daybreak’s version of the much-demanded World of Warcraft Classic. The user interface is updated. There are no experience or death penalties. Expansion packs are added at a rate of one every 12 weeks. Otherwise, it’s a similar experience to the one I played and enjoyed back when the game launched. I was so stupid back then. For my race I picked half-elf, because I’ve always had a soft spot for the shunned mongrels of elven society. For class, I went with Bard. To this day, I’ve never encountered a character class in an online role-playing game as satisfying to play as EQ’s Bard. They are the ultimate support class, granting party members health, mana, haste and a host of other beneficial effects. At the same time, their ability to run super-fast while slowly killing hordes of pursuing monsters with damaging songs makes them excellent for solo players. Creatures in early EverQuest take much longer to die than the ones in most modern online role-playing games. They also give a lot less experience. At level one in, say, World of Warcraft, killing between eight and ten creatures is guaranteed to advance a player to level two. It’s quick and it’s easy. In old school EverQuest, between 30 and 50 creatures have to die before you’ll ding to the next level. Or more, depending on what you’re fighting. To be fair, back then I had a lot more online friends. I was part of a guild, and my guild members depended on me. I felt useful to them, and that feeling was intoxicating. Now I am playing with strangers. Some of those strangers are not great. Last night I listened to a conversation in general chat about what will happen to America’s avocado supply when Trump’s wall is built. I’m in no rush to catch up with those people, level-wise. EverQuest Loot In A Minute. Lore. I Meant Lore.